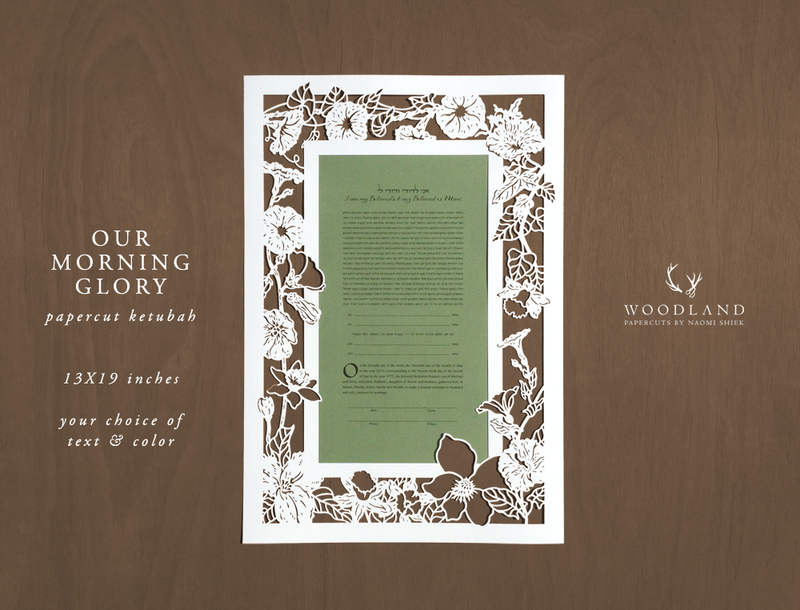 Size 13X19 inches and with a wide area for text, OUR MORNING GLORY KETUBAH is perfect for morning-ceremonies taking place in sunny fields and gardens. 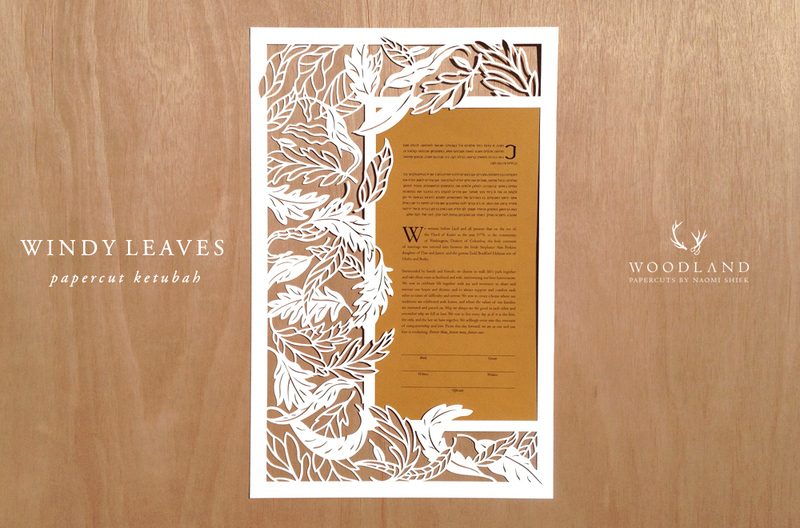 Size 11X17 and a design best displayed in a custom floating frame, WINDY LEAVES KETUBAH is Autumn personified. This is a perfect compliment for an oak tree chuppah in woodland weddings. 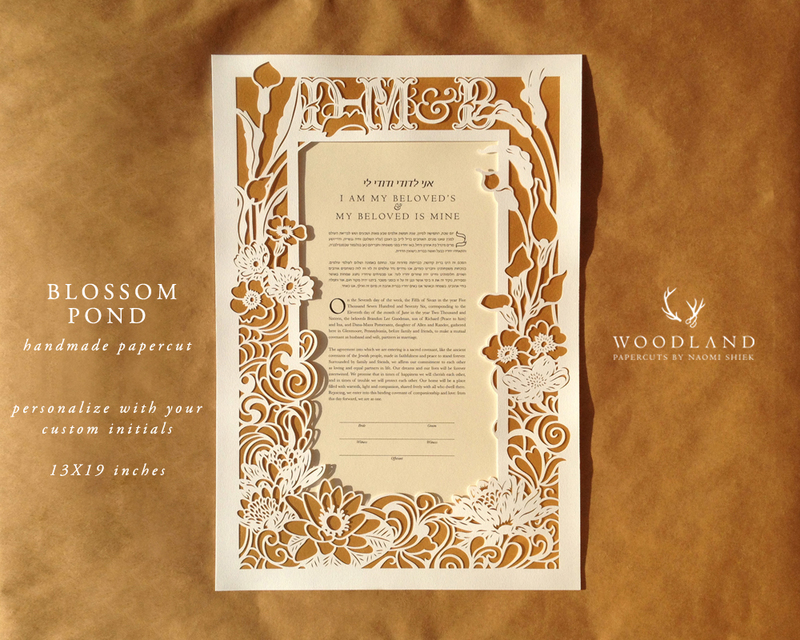 Size 13X19 inches, BLOSSOM POND KETUBAH is a customizable design. Not only can you choose your own text and colors as with all my ketubot, but you can personalize the papercut layer with your own custom monogram! There's also a version without the initials, for those who love the all-floral look.